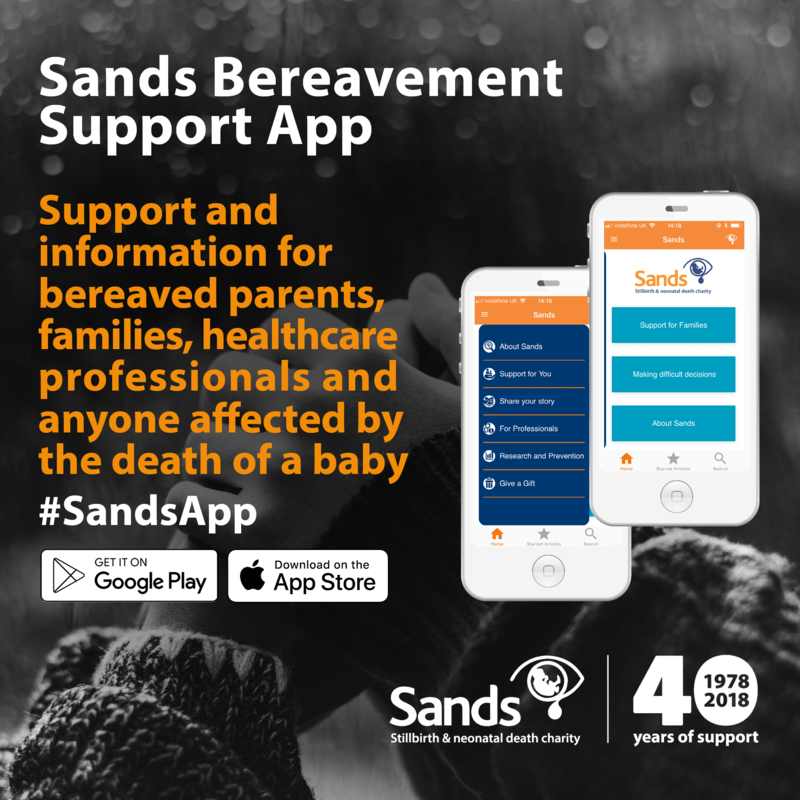 The Bereavement Support App from Sands is now available! And now we need you to help us promote it! Please find below an array of promotional materials which you can utilize to help us spread the word. 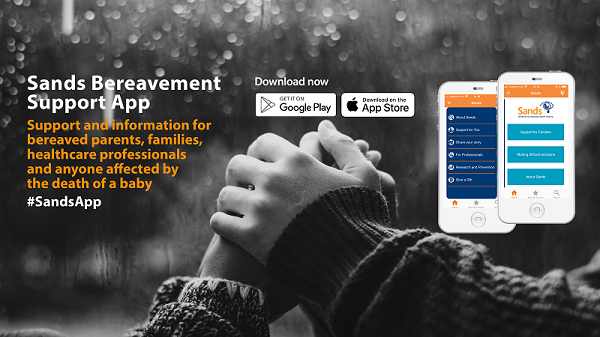 We've launched a new Bereavement Support App, for parents and families who have experienced the death of a baby. It is available to download today!